The Slime Prince no longer wants to hurt humans, he wants to be friends with them, but how will his father, the Slime King react? Theme: Genre - Without Mechanic. Our game is based on a roguelike, with randomly generated levels & permadeath, but you cannot fight the enemies & must evade them instead. Gave it a 5 minute go. But couldn't for the life of me find my way through the second level. I really like the aesthetic and the little intro... with skip-able dialogue! Nice! But once I realised I could run it was very easy to evade the guards, the only problem being that I couldn't find my way as everything looked very similar. 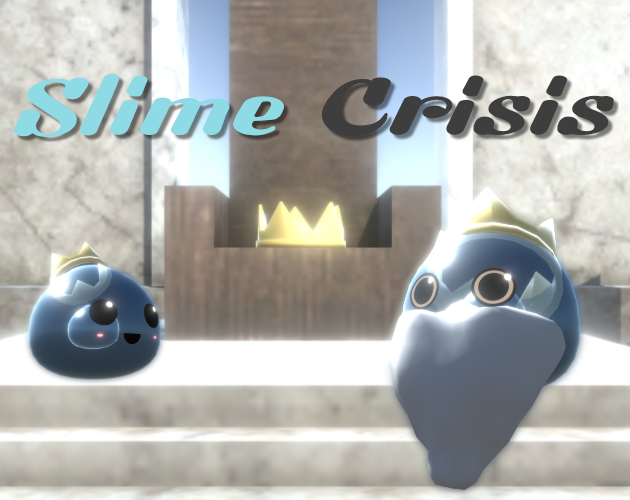 One other thing that felt a bit off was that the Slime Prince carved pretty wide circles when you turned him around, I guess this was to make it harder? But it just felt a bit off. Oh yeah and the camera snapping from screen to screen felt and looked great!.